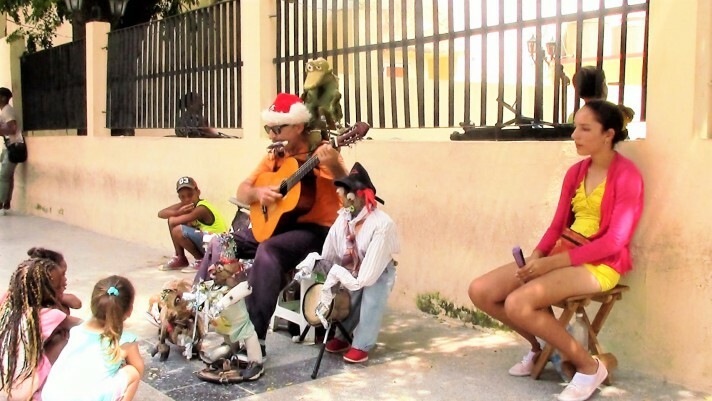 A few days ago, the Cuban Police punished a blind street musician by giving him a fine of 6,000 Cuban pesos (about 225 convertible pesos or USD). 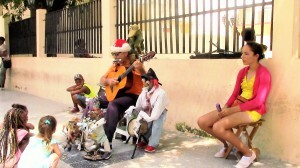 The man earns his living with his guitar and puppets, stationed in one of the many streets of the Old Havana. Mr. Arsenio Peña Blanco told us that he has reported the unjust reprimand to the courts of both the Office of the Attorney General of the Republic and the People’s Power and the Council of State, but no one has paid attention to his case or informed him of any progress in it so far. Street performances are only allowed in the historical centre of the capital, an area exclusively reserved for that purpose due to the high concentration of tourists and their demand for such form of street art. As a result, the area abounds in musicians, sketchers, clowns, rumba dancers and even fortune tellers predicting the future to travellers eager to learn their destiny. Work permits are granted by the Office of the City Historian, which is directed by the world-renowned Mr. Eusebio Leal.